Some of the biggest names in world football took to social media to extend their prayers after the Notre Dame Cathedral Fire Tragedy in Paris on Monday. Paris’ iconic Notre-Dame cathedral was ravaged by a colossal fire that spread over the 850-year-old building on Monday, destroying its spire and a large part of its roof. After efforts of over 500 firefighters throught the night, it was declared in the early hours of Tuesday that the inferno had been brought under control. In the wake of the incident, social media was flooded with grief reactions from across the world and several star footballers extended their heartfelt prayers. Some of the biggest names from the football fraternity including the likes of Neymar, Kylian Mbappe, Zinedine Zidane, Pierre-Emerick Aubameyang, Alexandre Lacazette, Paul Pogba among others posted on their official social media handle to express grief. hashtag Pray For Paris was trending on Twitter. 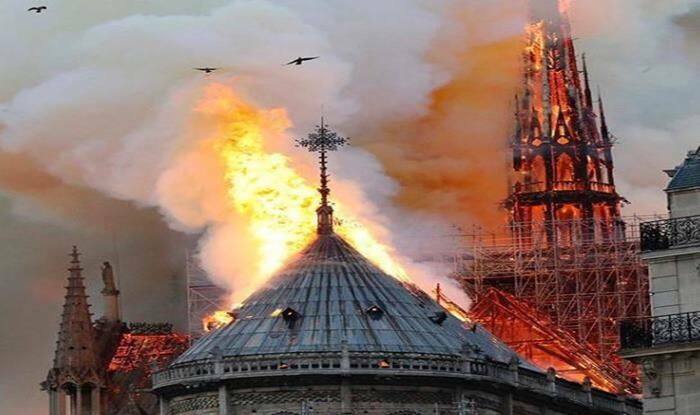 The fire began at around 6.30 p.m., on Monday and quickly caused the collapse of the Cathedral’s spectacular Gothic spire and the destruction of its roof structure, which dated back to the 13th century. Consumed by flames, the spire leaned to one side and fell onto the burning roof as horrified onlookers watched. 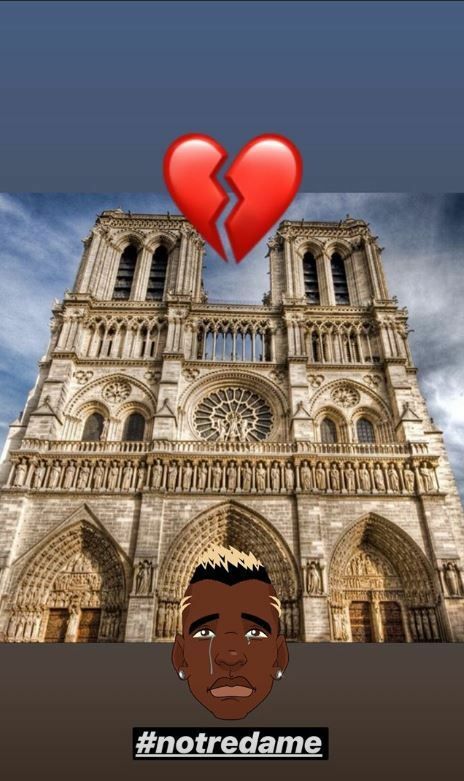 Chelsea legend Didier Drogba added: ‘Sad forThe Cathédrale Notre Dame de Paris’. An emotional France President, Mr. Macron said the “worst had been avoided” and vowed to rebuild the cathedral. “Notre Dame is our history, it’s our literature, it’s our imagery. It’s the place where we live our greatest moments, from wars to pandemics to liberations… This history is ours. And it burns. It burns and I know the sadness so many of our fellow French feel,” he said.